New bespoke wooden dog shelters are a great way to contain your dog to give them some fresh air and freedom whilst you’re out, with peace of mind that they are safe at all times. We manufacture these dog shelters to customers sizes in our workshop so please get in touch for a quote. These new wooden dog shelters look great in any setting or garden. We manufacture these in house and can make any size or dimension to suit your location. 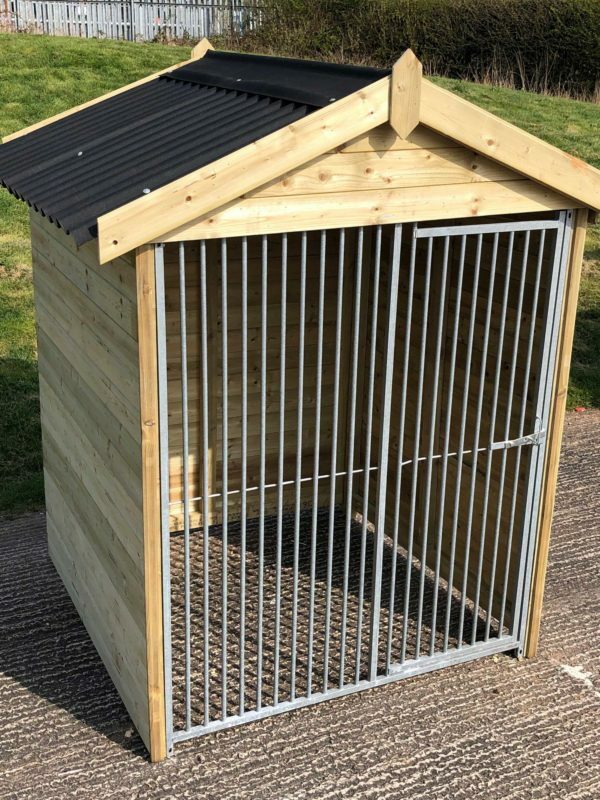 These dog shelters are ideal to contain your dogs in your garden or you can also put a dog cabin inside for a longer-term solution. We generally make these with a trussed apex roof although we can also make a pent roof for those that prefer this type of roof system. 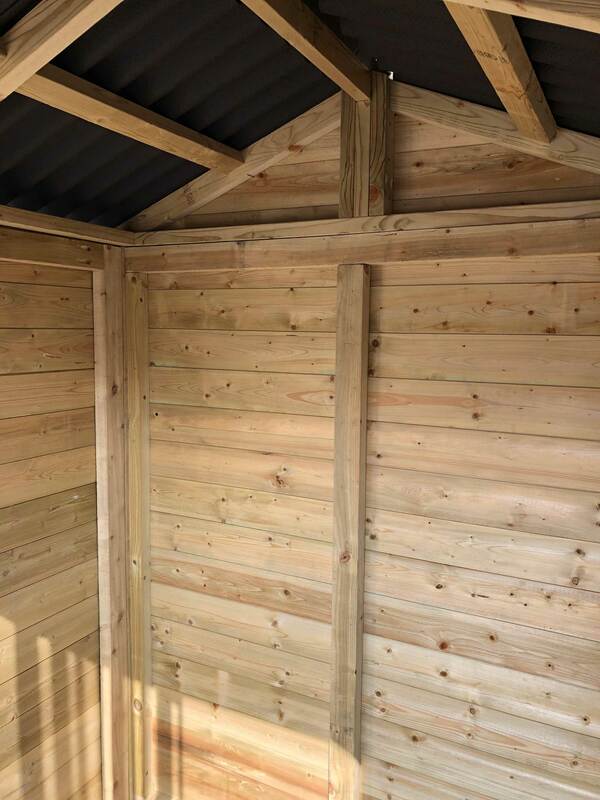 All the wood we use is tantalised to perform well in all weathers so these are designed to last. 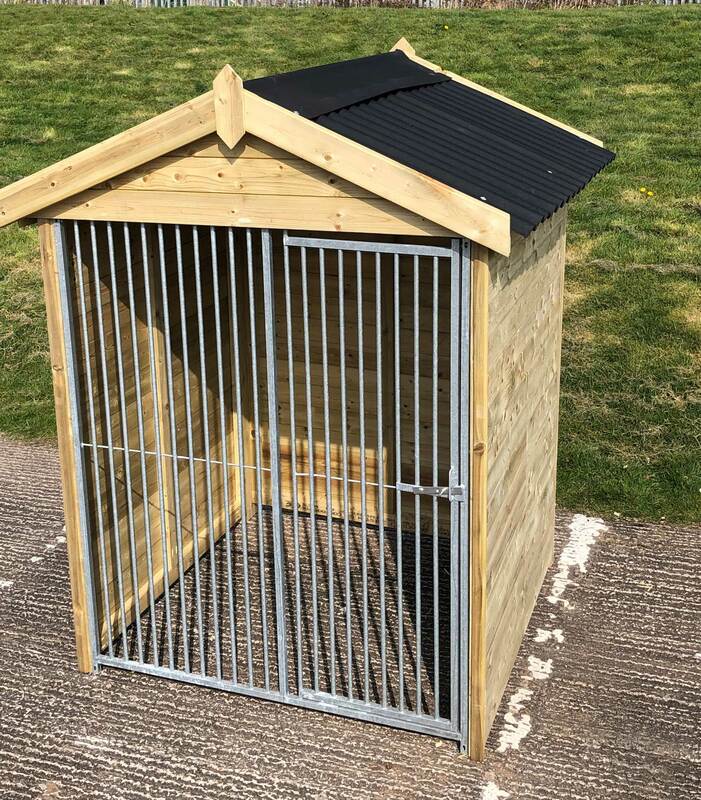 The dog shelters are made as a kit system so our customers can easily assemble them in a relatively short period of time, these shelters are delivered by our own driver so we can control the time of delivery to you. 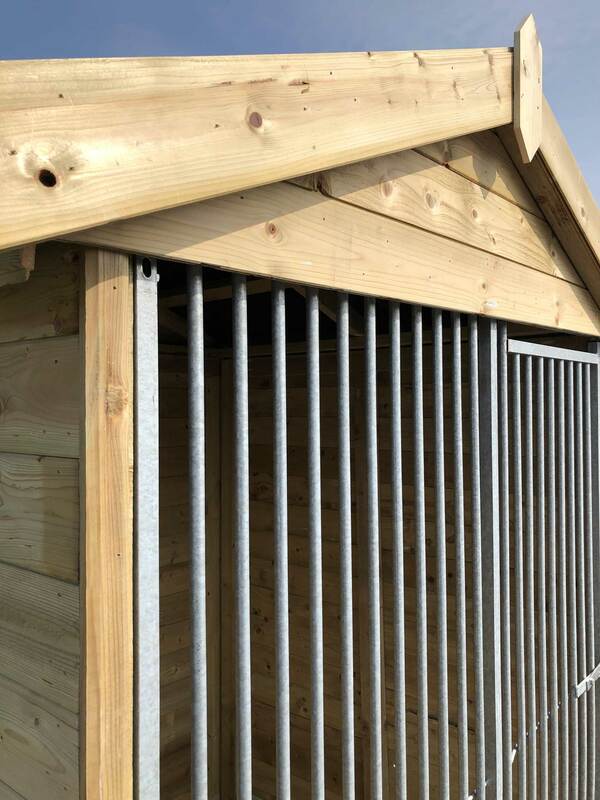 The frames of the shelters are manufactured from 70mm x 45mm framing with 12mm tongue and groove, we want these to last so we have used thicker and stronger material than most other kennel companies. The roof can either be supplied with onduline or mineral felt so please confirm this at the time of ordering.